Sam McKendry’s hopes of saving his career have suffered a major setback after his chronic knee ‘blew up’ after training this week. Panthers prop McKendry is at the crossroads after his third knee reconstruction in as many years and the former Kiwi Test forward faces the real possibility of hanging up the boots at the age of just 29. The big prop was making solid progress and hoping to return to the game next May before suffering severe swelling following a routine training run. McKendry visited specialists following this latest setback and has been told to take at least three to four weeks off training to give the knee time to heal. 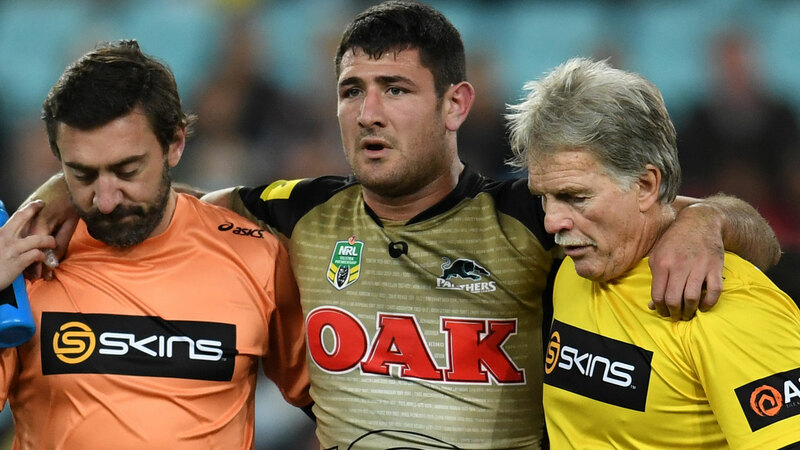 Panthers officials are doing all they can to ensure the popular front-rower’s career isn’t over but won’t know for several months if McKendry can play again. McKendry has played just 14 games in the past three seasons and is fighting hard to get his career back on the rails - but now needs to give training a rest and wait for the swelling to go down.